“Now, Therefore, by virtue of the authority vested in me by the Constitution and statutes, and as President of the United States and Commander in Chief of the Army and Navy, I do hereby reaffirm the policy of the United States that there shall be no discrimination in the employment of any person in war industries or in Government by reason of race, creed, color, or national origin, and I do hereby declare that it is the duty of all employers, including the several Federal departments and agencies, and all labor organizations, in furtherance of this policy and of this Order, to eliminate discrimination in regard to hire, tenure, terms or conditions of employment, or union member-ship because of race, creed, color, or national origin. “l. All contracting agencies of the Government of the United States shall include in all contracts hereafter negotiated or renegotiated by them a provision obligating the contractor not to discriminate against any employee or applicant for employment because of race, creed, color, or national origin and requiring him to include a similar provision in all subcontracts. “2. All departments and agencies of the Government of the United States concerned with vocational and training programs for war production shall take all measures appropriate to assure that such programs are administered without discrimination because of race, creed, color, or national origin. “3. There is hereby established in the Office for Emergency Management of the Executive Office of the President a Committee on Fair Employment Practice, hereinafter referred to as the Committee, which shall consist of a Chairman and not more than six other members to be appointed by the President. The Chairman shall receive such salary as shall be fixed by the President not exceeding $10,000 per year. The other members of the Committee shall receive necessary traveling expenses and, unless their compensation is otherwise prescribed by the President, a per diem allowance not exceeding $25 per day and subsistence expenses on such days as they are actually engaged in the performance of duties pursuant to this Order. “4. The committee shall formulate policies to achieve the purposes of this Order and shall make recommendations to the various Federal departments and agencies and to the President which it deems necessary and proper to make effective the provisions of this Order. The Committee shall also recommend to the Chairman of the War Manpower Commission appropriate measures for bringing about the full utilization and training of manpower in and for war production without discrimination because of race, creed, color, or national origin. “5. The Committee shall receive and investigate complaints of discrimination forbidden by this Order. It may conduct hearings, make findings of fact, and take appropriate steps to obtain elimination of such discrimination. “6. Upon the appointment of the Committee and the designation of its Chairman, the Fair Employment Practice Committee established by Executive Order No. 8802 of June 25, 1941, hereinafter referred to as the old Committee, shall cease to exist. All records and property of the old Committee and such unexpended balances of allocations or other funds available for its use as the Director of the Bureau of the Budget shall determine shall be transferred to the Committee. The Committee shall assume jurisdiction over all complaints and matters pending before the old Committee and shall conduct such investigations and hearings as may be necessary in the performance of its duties under this Order. “7. Within the limits of the funds which may be made available for that purpose, the Chairman shall appoint and fix the compensation of such personnel and make provision for such supplies, facilities, and services as may be necessary to carry out this Order. The Committee may utilize the services and facilities of other Federal departments and agencies and such voluntary and uncompensated services as may from time to time be needed. The Committee may accept the services of State and local authorities and officials, and may perform the functions and duties and exercise the powers conferred upon it by this Order through such officials and agencies and in such manner as it may determine. “8. The Committee shall have the power to promulgate such rules and regulations as may be appropriate or necessary to carry out the provisions of this Order. 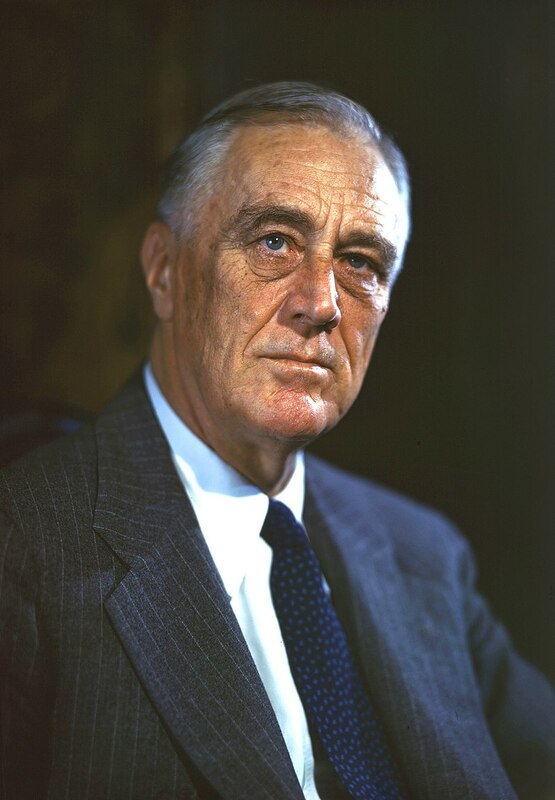 Franklin D. Roosevelt: "Executive Order 9346 Establishing a Committee on Fair Employment Practice.," May 27, 1943. Online by Gerhard Peters and John T. Woolley, The American Presidency Project. http://www.presidency.ucsb.edu/ws/?pid=16404. John T. Woolley, The American Presidency Project.